Type IDH | TROX Malaysia Sdn Bhd. 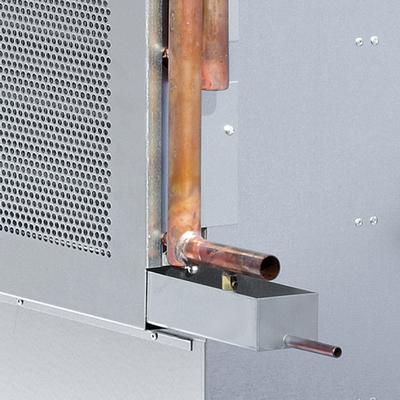 Induction unit for heating and cooling, with 2-pipe heat exchanger, for freely suspended installation in large internal spaces, e.g. exhibition or production halls. The condensate drip tray is useful if the temperature temporarily falls below the dew point. 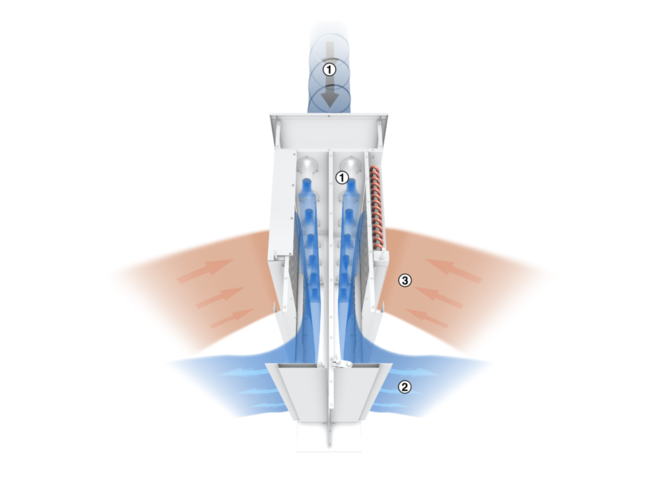 The primary air is discharged through nozzles and induces secondary air (room air), which passes through the heat exchanger. Primary and secondary air mix and are then supplied to the room, passing the motorised damper blades. 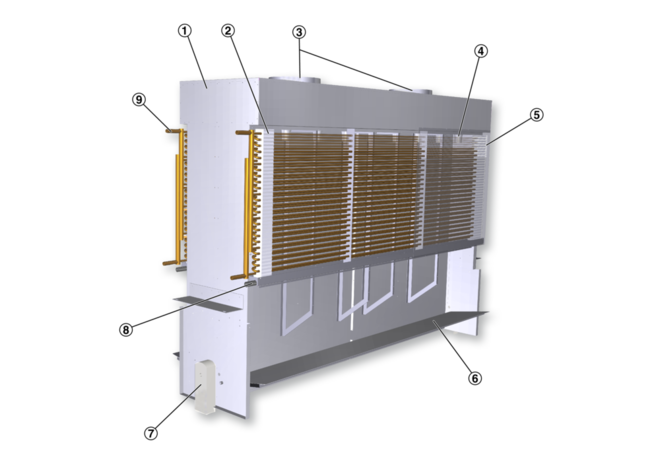 Induction units of Type IDH, with one-way or two-way air discharge and high thermal output, providing high thermal comfort levels in the occupied zone. 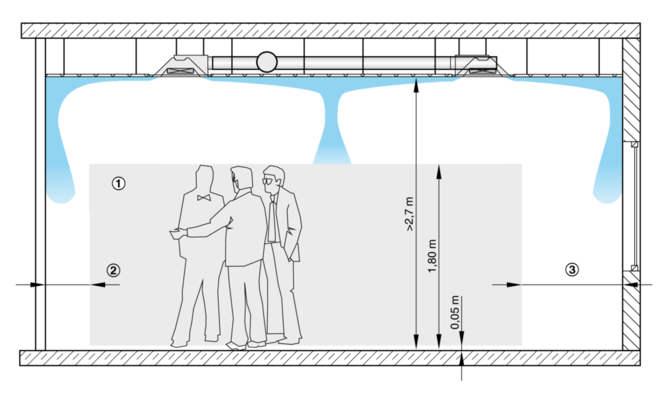 For freely suspended installation, preferably for very large internal spaces with room heights from 8 to 25 m.
With their museum building, which seems to be hovering in the air despite its monolithic shape, the Vienna-based architects Delugan & Meissel have succeeded in translating the dynamism of the Porsche brand into architecture. Porsche expects at least 200,000 visitors a year, and therefore fire and smoke protection was given a very high priority. 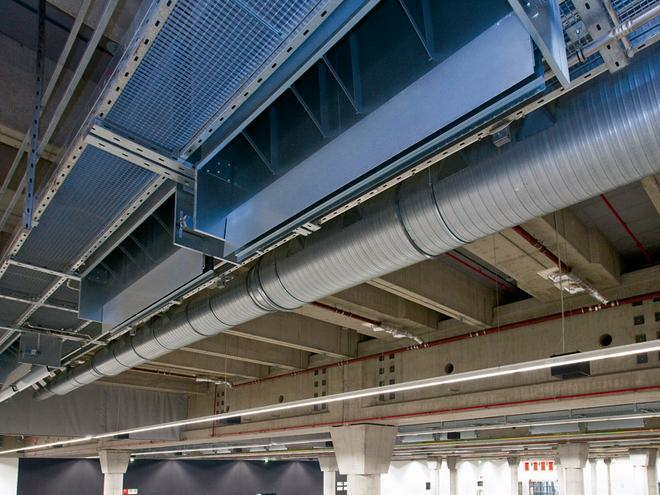 With 267 actuator-driven TROX fire dampers and 49 TROX smoke extract dampers providing ventilation, TROX products represent a great part of the building services. The dampers are controlled via our TROXNETCOM/AS interface. A Profibus DP interconnects the 20 controllers on a Simatic PLC with two master interfaces. 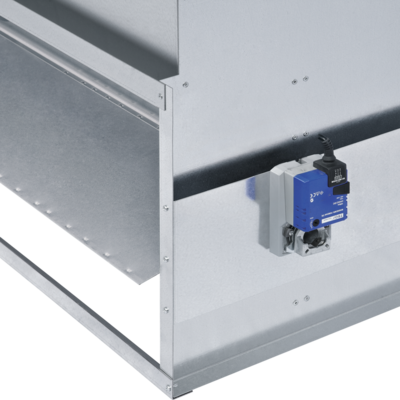 Furthermore, the smoke extraction dampers are connected to a fire service alarm panel by means of active AS-i modules with digital inputs and outputs. TROX integrated and commissioned the system. There are approx. 80 cars on show in the museum. Apart from world-famous dream cars such as the Porsche types 356, 550, 911 or 917, examples of technological excellence from the 20th century by Prof. Ferdinand Porsche are exhibited. In new design and refurbishment projects TROX is market leader when it comes to fire and smoke protection. This is why experienced maintenance companies know TROX products. TROX gives such companies the knowledge they need in certified training programmes. Furthermore TROX offers a telephone support line to assist in selecting and installing the right products. An extensive spare parts service rounds off the services offered by TROX in the area of fire protection. From fusible links and ancillary items to refurbishment dampers, TROX has the widest range of replacement parts available on the market.